The order marks the latest in a series of potentially precedential losses the EPA has suffered in the landmark TSCA fluoride suit. A federal judge has ordered EPA to provide internal documents and allow plaintiffs to depose agency staff on the risks posed by fluoridation, mandates that highlight the effect of an earlier ruling allowing the plaintiffs to introduce new evidence in their landmark Toxic Substances Control Act (TSCA) suit rather than limiting it to the agency’s record. In an Oct. 4 order, Judge Edward Chen, of the U.S. District Court for the Northern District of California, ordered EPA to release internal documents regarding its scientists’ views of a study linking fluoridation to IQ decrements, as well as ordering EPA to allow plaintiffs to depose agency staff on whether its existing fluoride standards consider neurotoxicity risks. 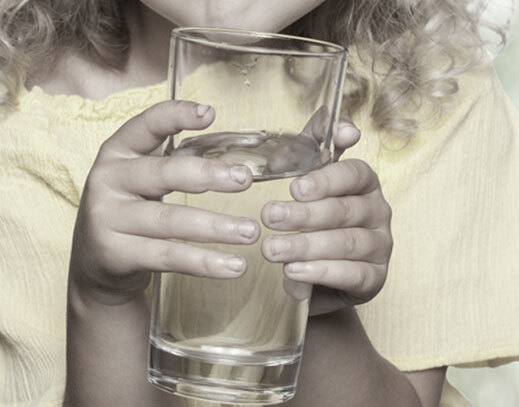 The order marks the latest in a series of potentially precedential losses the agency has suffered in the landmark TSCA suit, Food & Water Watch Inc., et al, v. EPA, where environmentalists and public health groups are seeking to force EPA to grant their petition seeking to ban the practice of treating drinking water with fluoride. “In my view, it’s quite significant going forward … [Chen] didn’t provide any qualifications. He allowed deposition and forced EPA to search for internal documents,” the plaintiffs’ attorney, Michael Connett with Waters Kraus & Paul’s Los Angeles office, tells Inside EPA. “Even though [the order] is not technically precedential, it’s nevertheless helpful guidance for future courts” because this case is the first of its kind. Late last year, Chen ruled that the reformed TSCA allows citizens to petition EPA to regulate single uses of substances, a stance at odds with the agency’s position in this case, where it rejected the petition because it sought to regulate one use of fluoride, the fluoridation of drinking water for its dental benefits. More significantly for the latest order, Chen also ruled last February against the agency’s arguments to restrict the suit to the evidence presented in EPA’s petition denial — paving the way for a rare, de novo hearing of the petitioners’ arguments, scheduled for August 2019, where the plaintiffs are expected to offer a host of new scientific studies on the risks posed by the widely used substance. EPA has declined to appeal either ruling and instead has vowed to win the suit on the merits. But attorney observers say the rulings will usher in increased interest from public interest groups in filings such petitions — an action that had previously been rare, and even more rarely, if ever, challenged in court. Section 21 gives EPA 90 days to respond to such a petition. Should EPA deny the petition, or fail to respond within 90 days, the petitioners can sue the agency in federal court. Chen’s latest ruling broadens the evidence that plaintiffs can gather from EPA, allowing for discovery of certain internal documents and even deposition of EPA staff on certain topics. Chen’s order responds to a joint Sept. 27 letter EPA and plaintiffs filed that details areas in which the litigants, after several months of discovery negotiations, have been unable to agree. For example, the plaintiffs tell Chen that they “requested EPA documents related to the first-ever” National Institutes of Health-funded study of fluoride and IQ, which was published in September 2017. “This much anticipated and methodologically rigorous study (which was funded, in part, by the EPA) found that fluoride ingestion during pregnancy correlates with significant and sizable IQ loss in children and thus strongly supports Plaintiffs’ position,” they say. But Chen notes that “EPA has not identified any undue burden from the request, and courts have made clear that ‘the deposition process provides a means to obtain more complete information [than written responses to discovery requests] and is, therefore, favored,’” citing a 2008 case, Great Am. Ins. Co. of New York v. Vegas Const. Co., from the U.S. District Court for Nevada. Connett deposed EPA’s Ed Ohanian, associate director for science, on Oct. 15. As a witness in a federal rule 30(b)(6) deposition, Ohanian represents EPA and his statements are binding on the agency for purposes of the litigation, Connett says. This article originally appeared in the October 22, 2018 issue of Inside EPA.